The Oliver Apex 300 squash racket will please you with its polyvalence and its lightness. If you're looking for a polyvalent squash racket, you'll love the Oliver Apex 300 squash racket. With its neutral balance, the Oliver Apex 300 squash racket offers a good compromise between power, maneuverability and precision. The Oliver Apex 300 squash racket is very comfortable to use with a weight of only 120g. 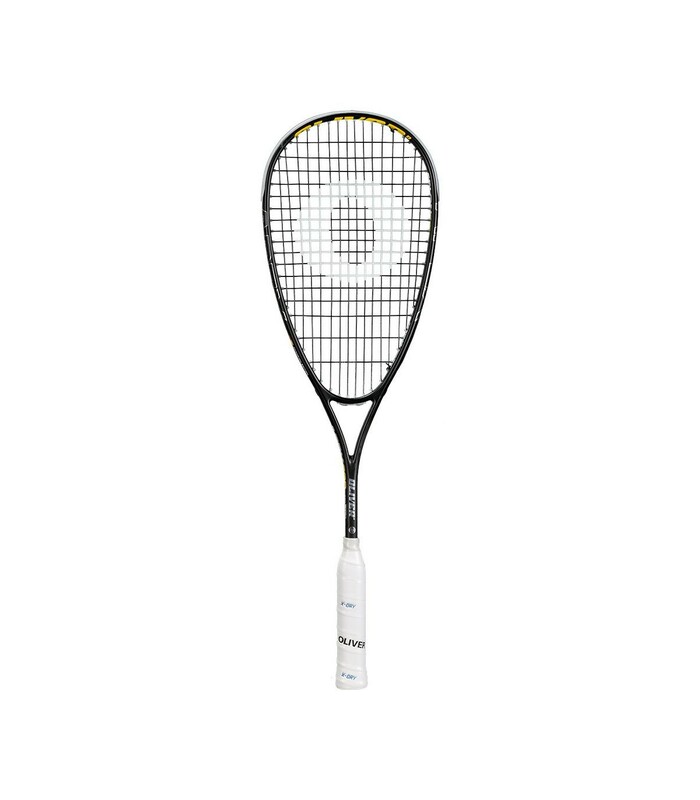 The Oliver Apex 300 squash racket also has a very open string pattern with a 16x17 string pattern, which is perfect if you lift a lot or if you’re looking for power. With its black frame, this great brand squash racket gives you a smart and elegant style on the squash court. The Oliver Apex 300 squash racket also features the nano-eplon technology and the concave system.